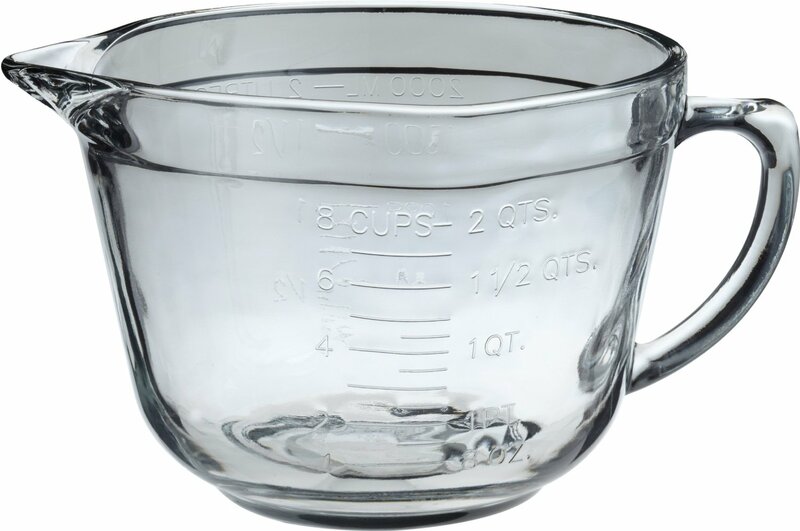 Anchor Hocking 2-quart glass batter mixing bowl features a convenient handle and easy pour spout. Glass is microwave, pre-heated oven, refrigerator, freezer, and dishwasher safe. The batter bowl allows you to do it all – whip up your treat in this tempered glass bowl – deep enough to keep your contents inside and a handle to maintain a good grip on the bowl. This batter bowl is perfect for your favorite baker or for your own kitchen.